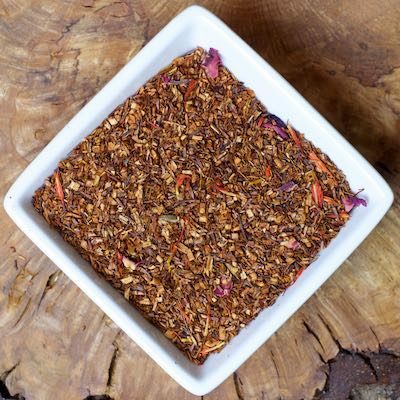 The lovely scent of rose completes this rooibos. It will remind you of summer mornings sitting in a beautiful rose garden. No caffeine.